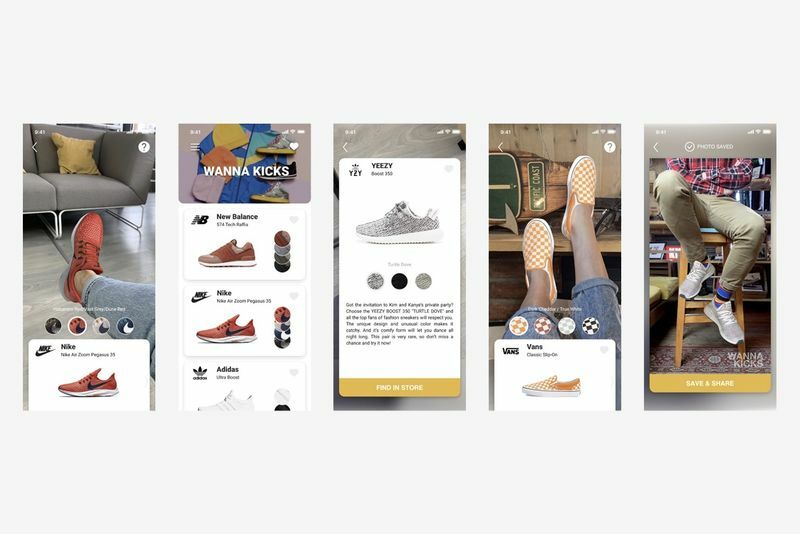 Belarus startup company, Wannaby, has come up with a solution for buying sneakers online and decided to build an 'Augmented Reality (AR) commerce' experience that lets you 'try on' sneakers before you even get to buy them. The biggest problems with shopping online are the risk that everything you bought might not look like it does in the pictures, fit correctly, or suit your personality. Wannaby presents the Wanna Kicks Augmented Reality app that uses augmented reality to allow users to choose a pair of kicks from a list of 3D models, in the comfort of their own couch. Wanna Kicks features products from all sort of big brands including Nike, Adidas, Yeezy, and even Vans. Once you've chosen your favourite sneakers, you simply point your camera at your feet and –voilà – you're now virtually wearing the chosen sneaker. Users can move and rotate their feet or change the camera angle of their smartphone to get a better feel of what the sneaker would look like on their feet. The AR app will even follow your footsteps as you walk. Wannaby believes its technology can help customers and retailers by reducing the chances of people returning items. And we all know what a mission that is. "Our mission is to break online shopping barriers," Wannaby CEO Sergey Arkhangelskiy told TechCrunch. "We believe that AR try-on can help customers to shop online and will wash away the difference between online and offline shopping. We see two major problems in the shoe market. Online conversions are quite low, and returns are quite high, in comparison to traditional 'brick-and-mortar' shopping. The ability to try sneakers with your phone before buying online should shift conversions, engagement and returns." "We've built Wanna Kicks for Gen Z and Millennials who are interested in buying sneakers and eager to know whether they will fit their style or not," Arkhangelskiy added. "The AR and AI community will love our launch as well – we've accomplished a really difficult task in computer vision and rendering." Check out the Wannaby Wanna Kicks in action, in the video below.